The vertical drop from summit to base is 1719 ft. 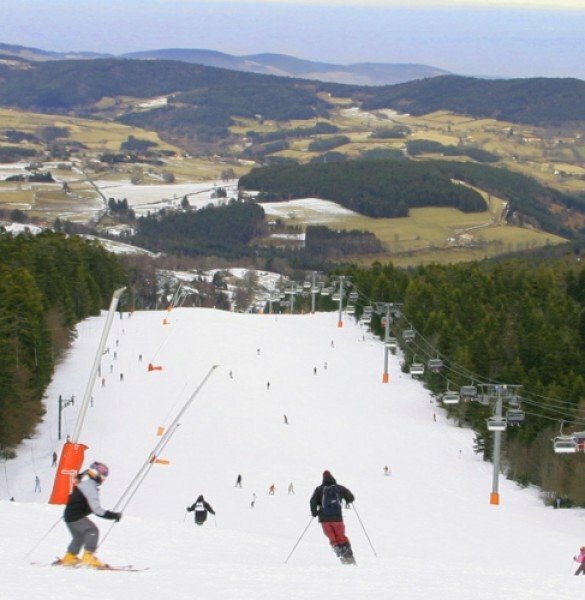 The average difference in altitude between base and summit of Ski Resorts in France is 2848 ft. The highest point of the track is 5361 ft above sea level. 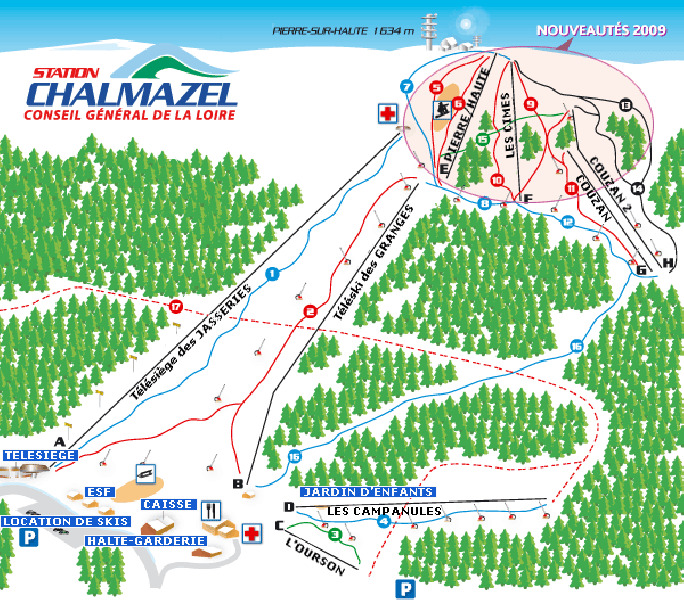 The day pass at Chalmazel is €18 making it the cheapest ski resort in the Auvergne. Chalmazel is a county in the Département Loire in central France. Located on 1110m above sea level the resort features 16 diverse trails for all ability levels. Two very easy (green), to easy (blue), 6 intermediate (red), and 2 difficult (black) trails are at the disposal of the snow seeking winter athletes. But Chalmazel offers more than just alpine skiing! Cross-country skiing, snowshoeing, ski tours and winter hiking are other fun activities which make winter the favourite season in the year! 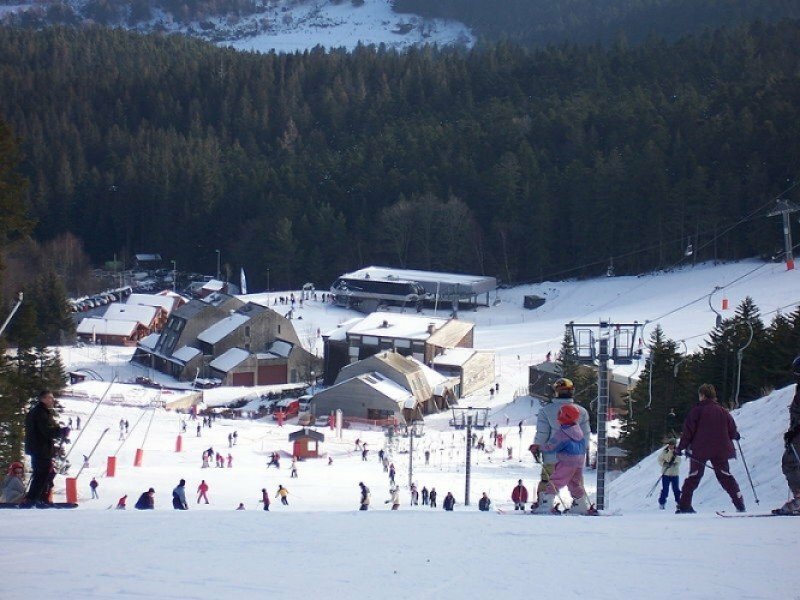 Chalmazel is a quiet resort which attracts mostly families and locals. 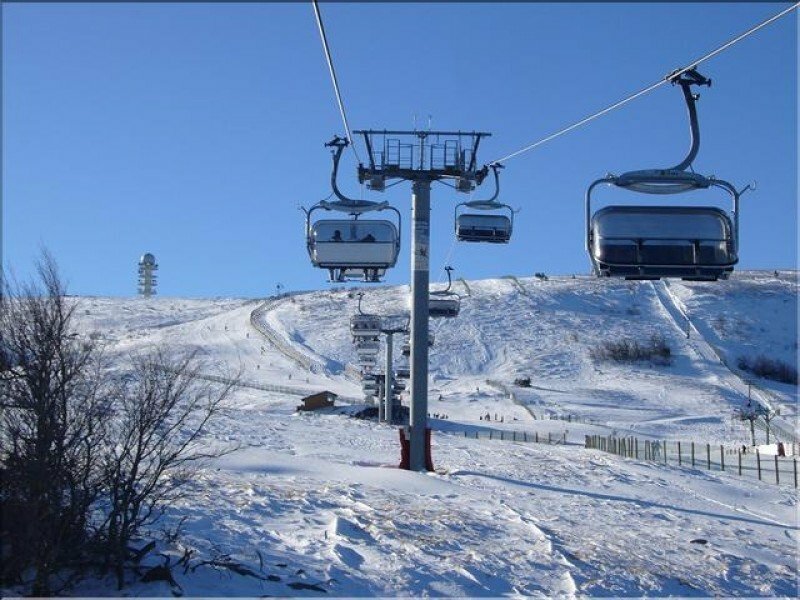 Plus factors are the tranquil and friendly atmosphere, the fantastic views and the nonexistent waiting times at the lifts.